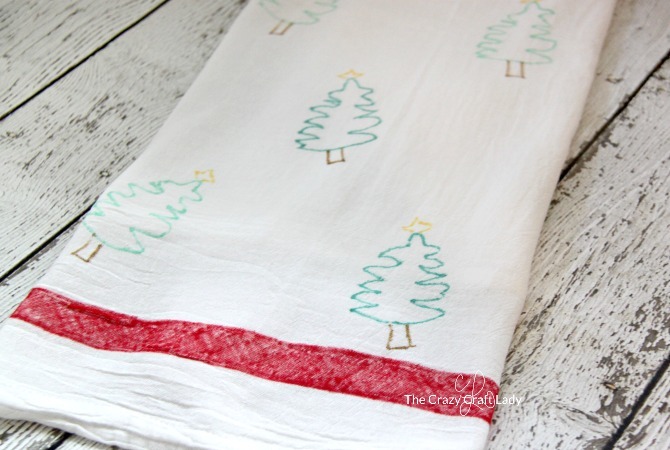 How to make personalized tea towels using your child’s artwork and fabric markers. Give a meaningful, handmade gift to grandma this year. Hey guys! 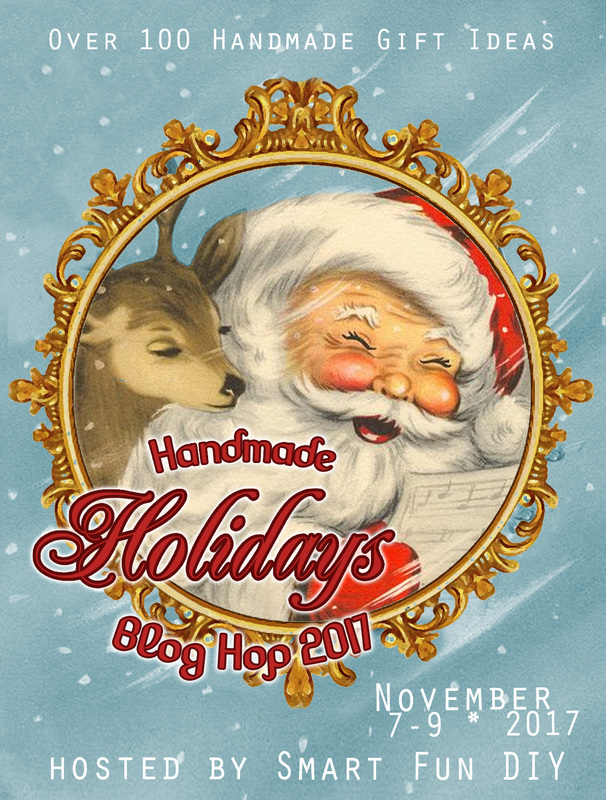 I’m doing something a little different on the blog today with this craft- a Bloghop! 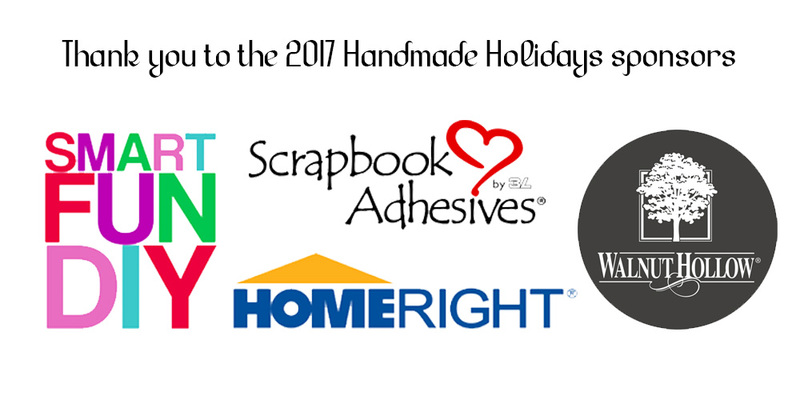 Several other bloggers and I have teamed up to share with you all the best handmade holiday gifts, just in time for Christmas giving! 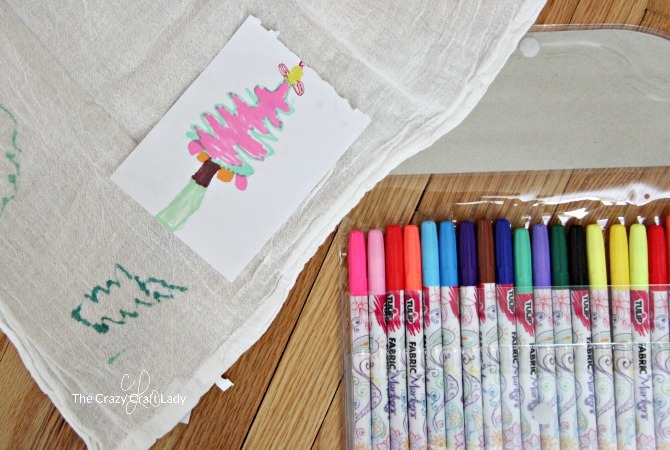 Scroll to the bottom of this tutorial for more handmade gift ideas. 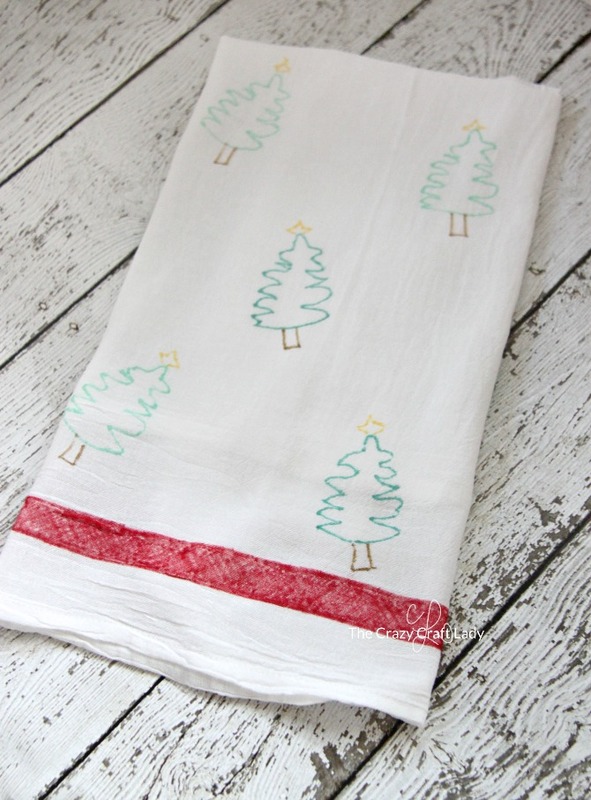 In a perfect world, I would have had my daughter draw on the tea towel directly. 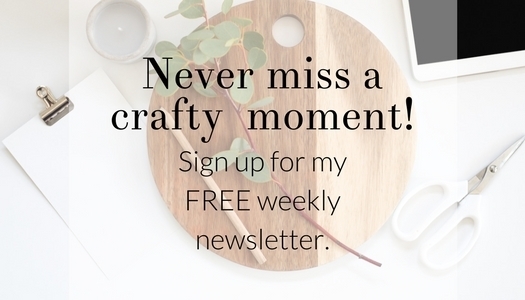 But, at age 5, she quickly became frustrated with the fabric slipping, and wanted to move on to more exciting craft projects. 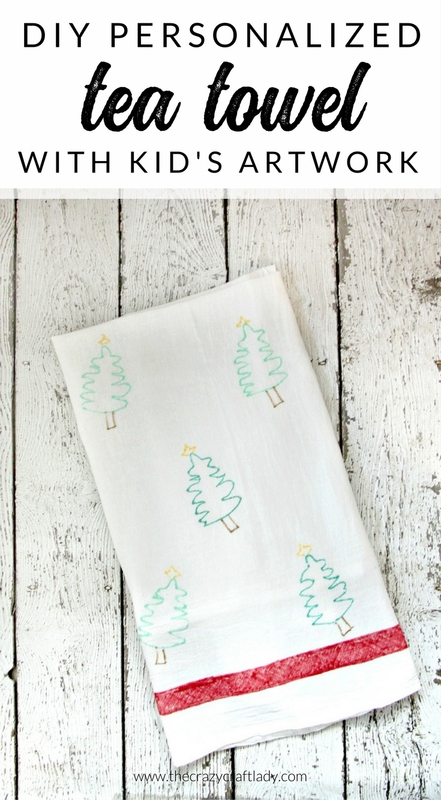 So… I had her draw a few Christmas trees on paper, which I then used to trace onto the towels. Since the towels are pretty thin, this was easy to do. I just slid her drawing under the towel, and carefully traced in green fabric pen. I think Grandma is going to love her new handmade tea towel! These towels are ADORABLE!!! Where did you buy the blank towels to work with?? This project looks sooo adorable, I love it! I’m definitely going to give this a try – very beautiful and creative.